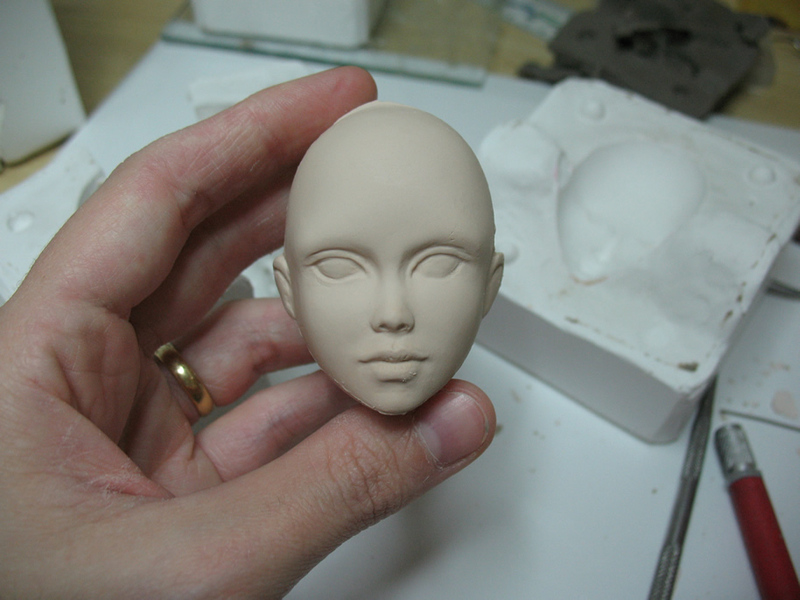 It begins with Sculpting, something I had already been doing for 5 years, "this will be easy" - I thought. 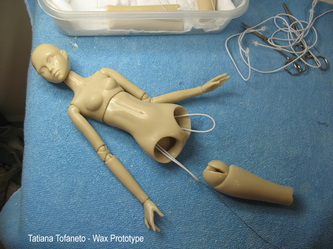 But sculpting an articulated doll demands a lot of research and study and not only talent or gift but also technic! 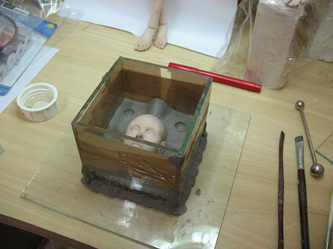 Mold Making was the next step and the first big challenge. A lot of study, researches, time are put into mold making. 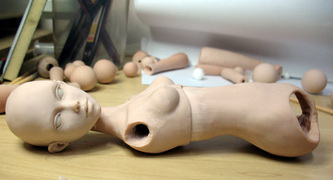 Not to mention the big mess it is to work with plaster! 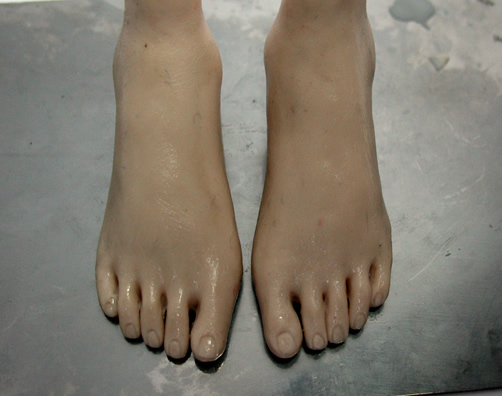 During the mold making creation I also studied about Wax as an attempt to make better molds. It was also a wonderful journey and a great discovery! 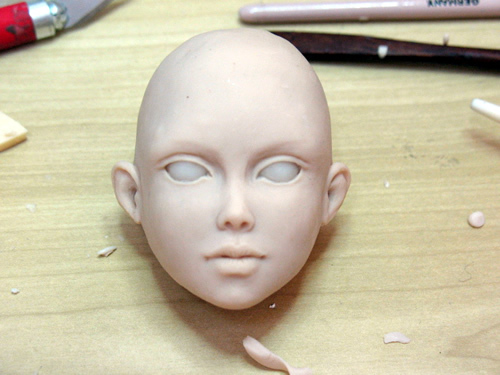 After many trials and errors I finally learned how it all works and the 12 molds of my first doll were created! 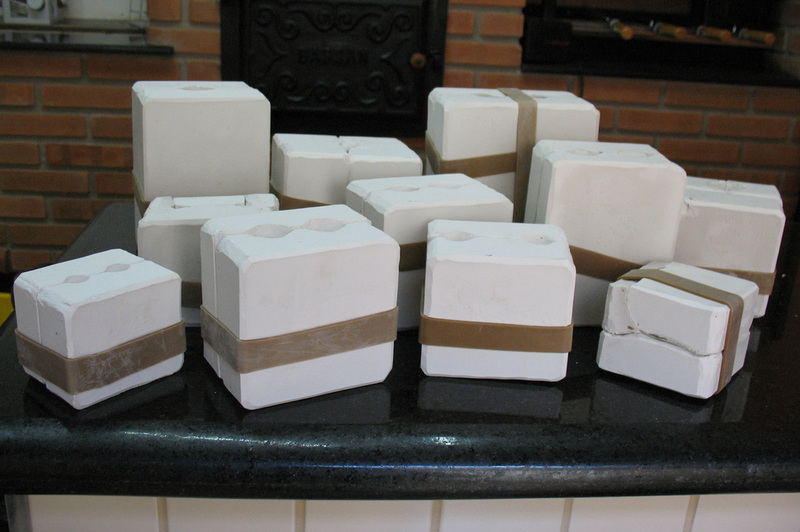 Porcelain for me was the most amazing and motivating thing to study. I don't know if it is because porcelain was the last material to learn or it has to do with my childhood memories, when I remember being very curious but never being able to touch a porcelain doll as my parents couldn't afford buying such dolls for me. 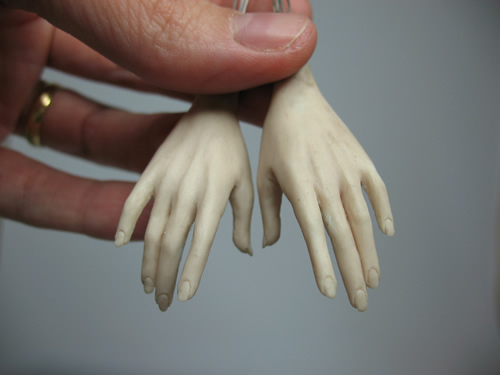 Touching the porcelain doll parts for the first time was a real bliss to me! China Paint. 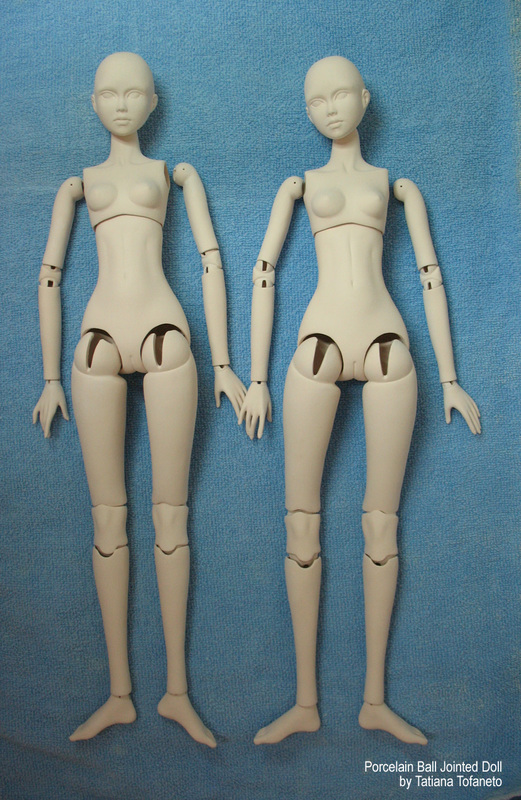 Several layers of paint is necessary to achieve the right color and translucence. It was on my second try that I created the painting I was aiming for. 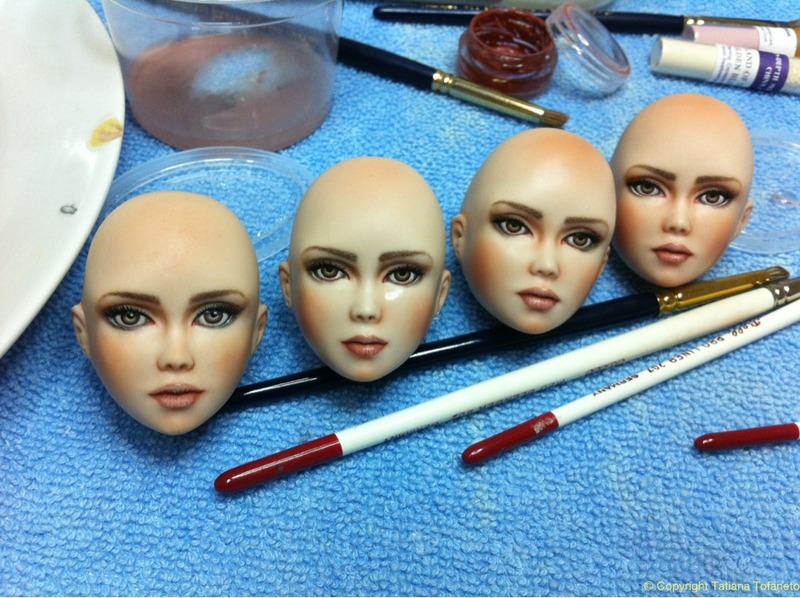 Although it takes over a week to finish painting a doll it is very rewarding just to know the job will never fade with time or get damaged in any way! China paint is permanent and it will last for as long as the doll exists. 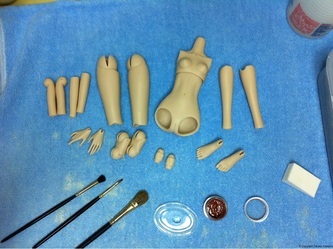 Assembling. 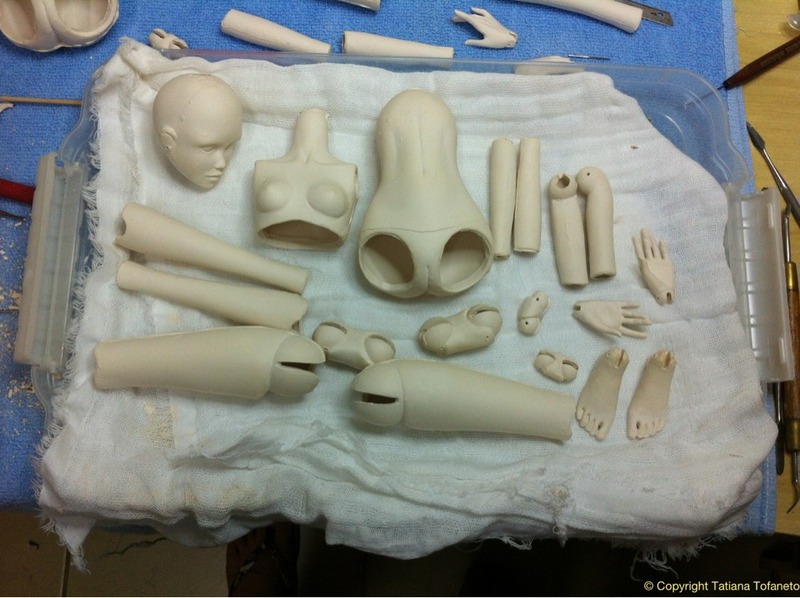 Before assembling the doll I attach leather lining to all the parts in order to improve movement and avoid friction between porcelain pieces. 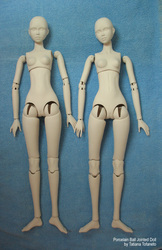 I also like to reinforce each joint internally by adding a strong material inside the joints. The assembling is made with hooks, swivels and steel springs. Every joint has a different spring size and tension. It took me a long time to find the right springs for each joint. Then she is finished and I can create a removable wig made of high quality Mohair.